Hey Live Like You Are Rich readers! Kristin from Ro*Tel here. I am excited to be writing for Anita today! Let me tell you a little about myself… I live in the Windy City, a.k.a. Chicago, with my Bichon Frise, Joey. When you live in a city full of hustle and bustle, you can never get bored! Over the weekends I try to make it out to our different museums, a local show at a dive bar or a new restaurant. In between whipping up new recipes in the kitchen for friends and family, you can find me jogging on Lake Shore Drive or binge-watching Netflix on the couch with a bowl of popcorn. Nothing says spring like a baseball game and a hotdog with all the fixin’s in hand. Last weekend I caught the Chicago Cubs vs. San Diego Padres game at Wrigley Field. While the sun was shining on our city, it was still a bit chilly watching from our rooftop seats! With the unpredictable weather, I think it’s safe to say I’ll wait until June before I catch another outdoor game. In the meantime, my friends and I plan to watch the Mayweather vs. Pacquiao boxing fight May 2nd. Although I consider myself a lover, not a fighter, I don’t think this match should be missed! To prep for the most anticipated fight in recent boxing history, I’m making some yummy sports viewing party eats! I have an unbelievably easy nacho recipe packed with tomatoes, green onions and olives everyone can enjoy. Combine refried beans and shredded chicken in medium bowl. Add chili powder, paprika, cumin, salt and pepper; mix well and set aside. Arrange chips in large baking dish. Top with seasoned beans-chicken mixture; sprinkle cheese on top. In the meantime, mash diced avocados in a medium bowl. 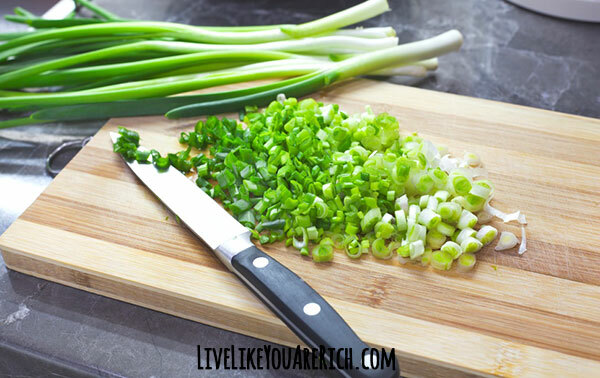 Blend in salt, diced onion, diced tomatoes and chopped cilantro. 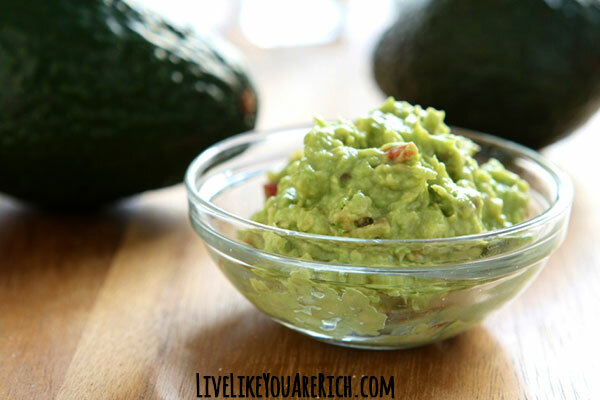 Cut lime in half and squeeze juice into guacamole. Mix ingredients well. After baking the nachos bowl, top with green onions and olives. Garnish with sour cream and guacamole. Serve immediately. Amazing for a quick meal or large party. So easy and simple! 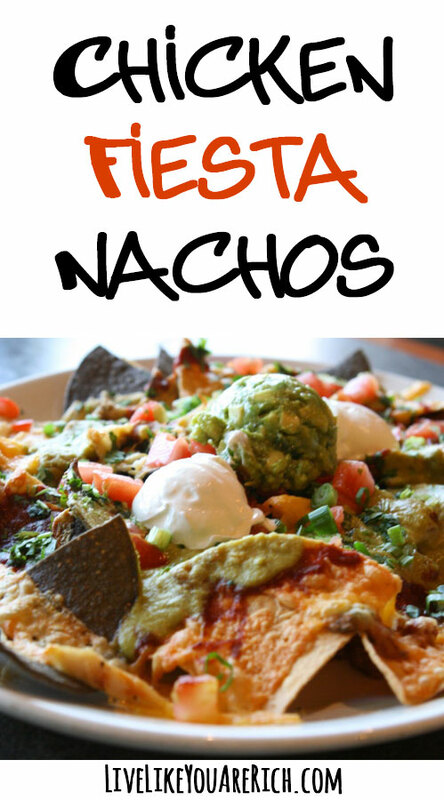 Now your boxing fight viewing party can be complete with delicious nachos to munch on. For more tomato recipes, check out Ro*Tel’s site! Thanks Kristin, I can’t wait to try these! They look delicious! « The Pros and Cons of Breastfeeding-For Women Only! 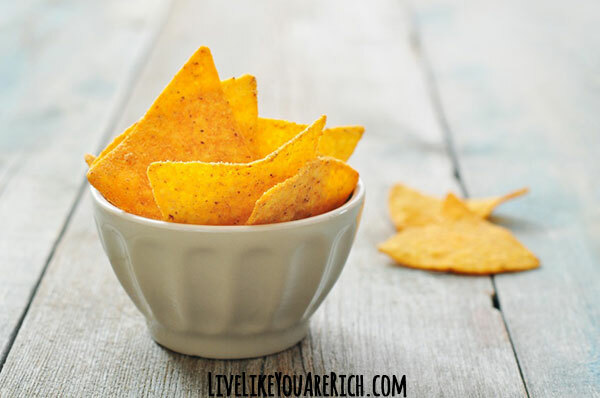 I love Ro*Tel – they are a staple in our house! 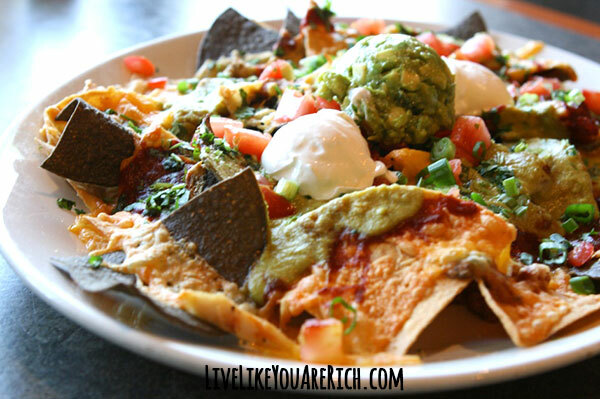 These nachos look great – I could eat these for dinner!